The Indonesian government has pinned high hopes on the upcoming annual meetings of the International Monetary Fund (IMF) and World Bank (WB) to be held in Nusa Dua, Bali, on October 8-13, 2018. The host country will use the world`s largest financial meeting to promote its tourist destinations and to attract investment in various fields, particularly in the tourism industry, among other things. Hosting the IMF-WB Annual Meetings, Indonesia will be in the global spotlight and also gain immense benefits in various fields, including in economy, politics, banking, investment, and tourism. Themed "Voyage to Indonesia," this year`s IMF-WB Annual Meetings will bring together some 19,800 participants and delegates, including finance ministers and central bank governors of 189 countries in "a journey to a new place of discovery." The tagline is selected, as Indonesia is the largest maritime country in the world and the center of the event where several countries in the world will anchor their ships. Bank Indonesia has estimated that some 3.5 thousand to five thousand foreign investors will attend the IMF-WB Annual Meetings, which are viewed as offering a positive momentum to promote Indonesia`s economic potentials to investors from around the world. The Indonesian government is planning to offer investment opportunity valued at US$42.2 billion, with total projects worth $86 billion, during the IMF-WB Annual Meetings 2018, State-Owned Enterprises Ministry`s special staff member Sahala Lumban Gaol stated on September 17, 2018. Those offered projects will be compiled in a specific book of investment opportunities and be delivered to the investors attending the meeting. The book will provide complete information on investment-worthy projects, including some of which are publicly known, such as toll roads and power plants. Gaol said the government has not set the target of realization of the investment coming from this bidding opportunity, as the most important aspect is that Indonesia can capitalize on the momentum to invite capital inflows. The government will offer several investment models, including direct investment under the strategic partnership scheme of $6.6 billion for 13 projects, participation in equity of $21.2 billion for 45 projects, and project financing of $11.6 billion for 19 projects. In addition, other investment models included are investment in the capital market using medium-term note of $748 million for two projects, $1.2 billion project bonds for one project, and infrastructure funds of $852 million for four projects. Indonesia is optimistic of attracting investors in tourism, as the sector helps boost the national economy and enhance foreign exchange, Head of the Investment Coordinating Board Thomas Lembong stated. Currently, preparations for the meeting are nearly complete, according to Coordinating Maritime Affairs Minister Luhut Binsar Pandjaitan, concurrently chairman of the IMF-WB 2018 national organizing committee. To further maximize the economic impacts, Minister of National Development Planning Bambang Brodjonegoro recently expressed hope that efforts would be made to woo participants with attractive shopping offers, souvenirs, accommodations, and travel guides to introduce tourist destinations. Apart from Bali, other tourist destinations, such as Banyuwangi in East Java, Lombok in West Nusa Tenggara, Labuan Bajo in East Nusa Tenggara, and Lake Toba in North Sumatra, are also been prepared to welcome the meetings` participants, who are interested in exploring other parts of the country. 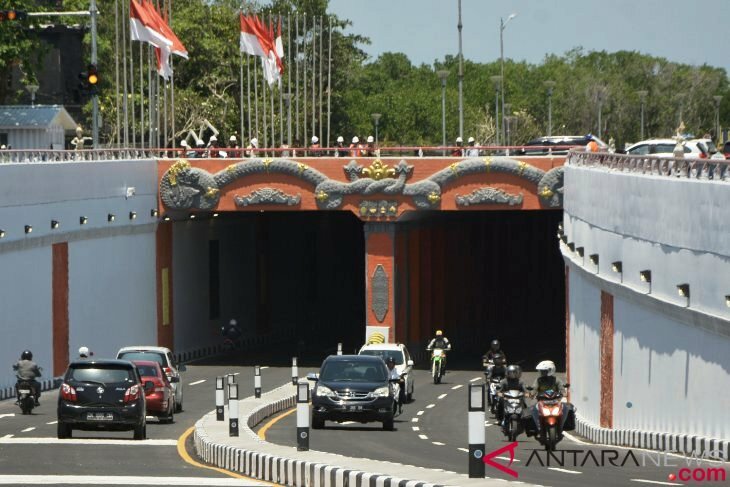 Meanwhile, the meetings are expected to boost the economy, with a total value of Rp7.8 trillion during the 2017-2018 period from infrastructure construction activities and the preparation of tourist areas of Rp3 trillion, hotels and accommodations of Rp9 trillion, and trading of Rp8 trillion. Facilities to support the meetings include 21 hotels, with over four thousand rooms for official delegates, 89 meeting rooms, some six thousand office rooms, and 55 business centers. At least three hotels, with some 600 rooms, in the Bali resort area of Nusa Dua will be converted into temporary offices of the delegations. The 600 hotel rooms comprise all rooms at Westin Hotel and Bali Nusa Dua Hotel as well as 42 rooms at the Grand Whiz Nusa Dua Hotel.